It’s nice to wrap-up warm and snuggly but this winter seems to have lasted a long time. 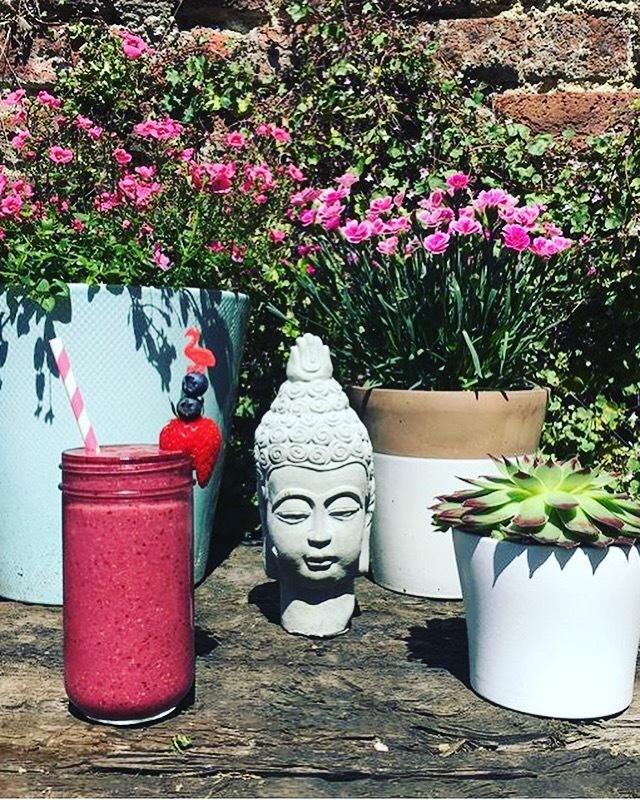 Bring-on lazy summer days in the garden, roses, al fresco dinner and lots of berry smoothies! Oh, and maxi dresses and sandals (my staple summer wardrobe). This breakfast smoothie is quick and easy to make and it is bursting with and abundance of beautiful, energy-boosting, gut healing ingredients. To make this nutrilicious blend you will need: 1 x handful each of strawberries, raspberries, blueberries & almonds, 2 x tbsp of coconut nectar, 1 x tsp of Pitaya powder, 2 tbsp of coconut milk and top-up with coconut water. Blend until luscious and creamy and add a fresh sprig of mint and some flamingo cocktail sticks!! !